Product prices and availability are accurate as of 2018-12-10 03:56:37 EST and are subject to change. Any price and availability information displayed on http://www.amazon.com/ at the time of purchase will apply to the purchase of this product. Buy with confidence! Our Reconditioned items include all necessary parts and are guaranteed to function like new, backed by our 120 Day Money Back Guarantee. Please note however that reconditioned units received from the manufacturer may or may not include accessories shown with this listing. The Ryobi ONE Plus 18V Cordless Lithium-Ion 4-1/2 in. 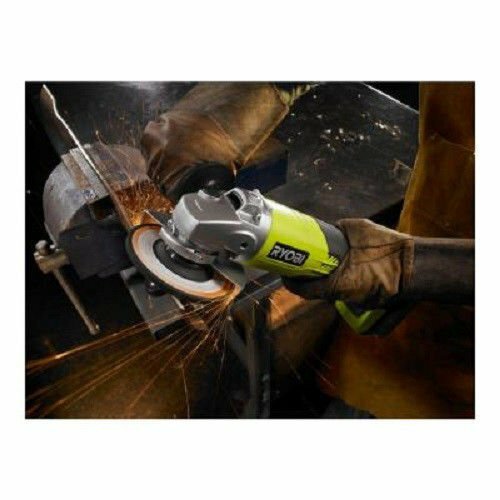 Angle Grinder features cordless convenience, delivering 6,500 RPMs and compatibility with the Ryobi ONE Plus 18V system. 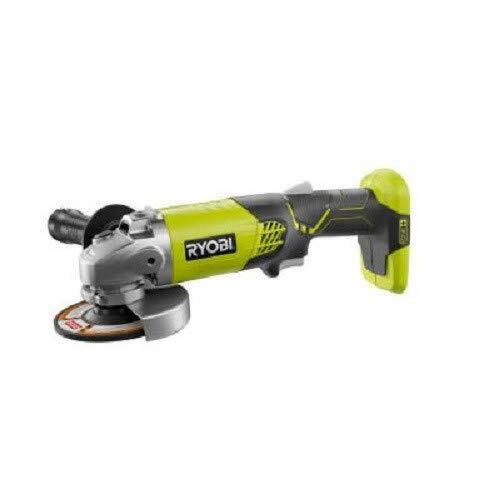 3-position side handle allows handle to be placed in most comfortable position Compatible with the entire Ryobi ONE Plus 18V system This item may ship in the original manufacturer's packaging. Includes: ONE Plus 18V Cordless Lithium-Ion 4-1/2 in. Angle Grinder (Bare Tool) - ZRP421,Side Handle,Wrench,Bare Tool - Battery and Charger Sold Separately.